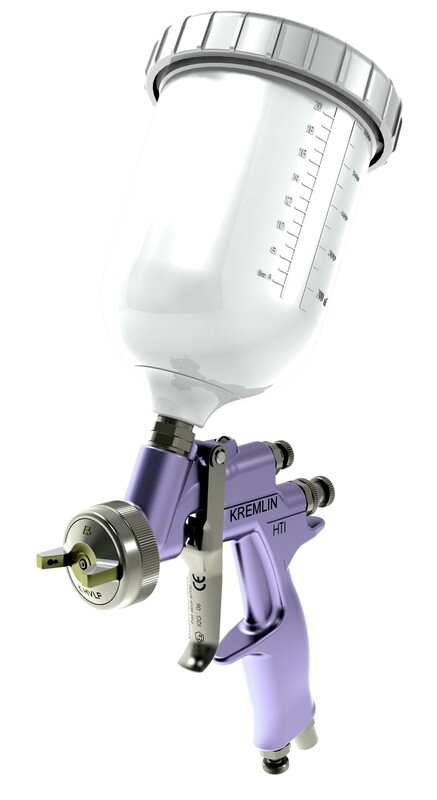 The M22 A HPA is a suction fed gun with unsurpassed ergonomics designed for hard to atomize coatings. Fine air output adjustment at the handle. Unique aircap design: Unsurpassed finish quality with perfectly balanced fan. The M22 G HTi is a gravity fed gun that delivers high finish quality and transfer efficiency with outstanding operator comfort. 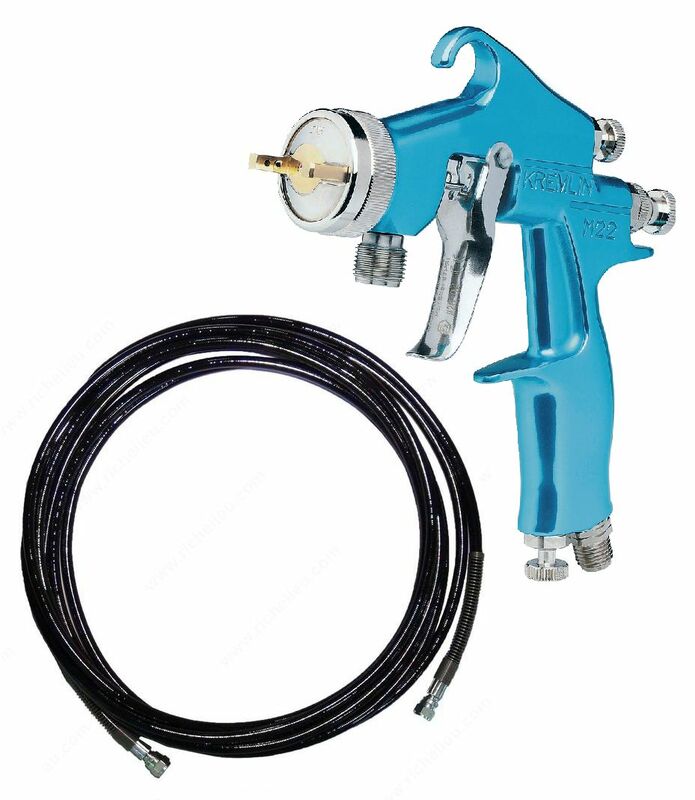 Available with one of 2 aircaps ; EP5 for hard to atomize coatings such as high solids and waterbornes or the E5 K HVLP for optimizing efficiency and HVLP compliant airspray..
New design and ergonomyReduced trigger effort: The gun is part of the operator’s arm who can focus on the application and the spraying movement for an improved quality. High transfer efficiency: Important product savings and environmental protection. Fine thread stuffing box: Fine control of the needle tightening torque for an improved sealing. E-Z adjust aircap: Allows adjustment without loosening the retaining ring. Reduced number of components: Easy maintenance. Choice of two 0.6 l cups available: Polyacetal white cup for water and solvent-based materialsPEHD grey cup for pre-catalysed or PU materials. 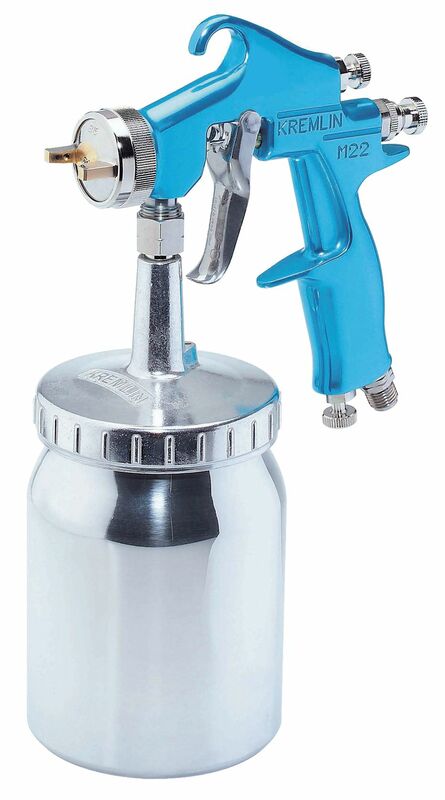 Intended to be connected to a pump or a pot under pressure, this pressure gun is suitable for all large work for thick or fine paintings. It has a great versatility with its 1.8 mm nozzle. The M22 G HPA has an ergonomic design and great robustness. The gun is ready to be connected to a pressure pot. It comes with 7.5m product and air hose. To feed, under pressure, all airspray guns. Conforms to the european legislation regarding the use of equipment under pressure (97/23/CE) (nitrile cover seal in standard). 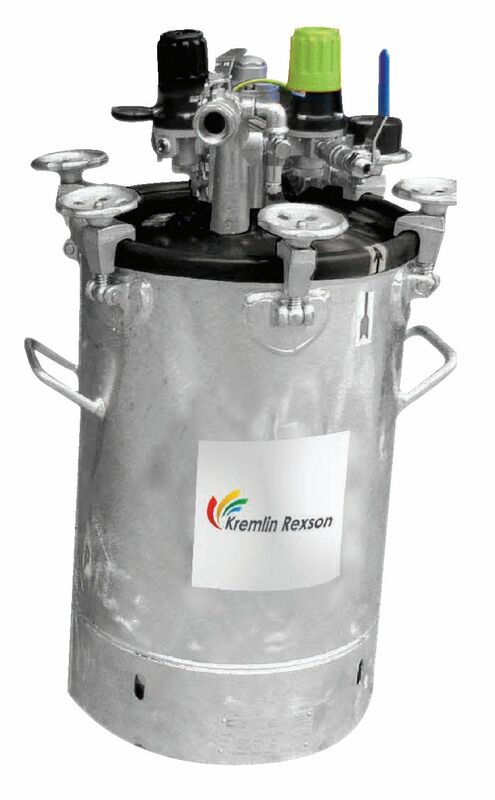 5 Liters Rilsan coated pressure pot. 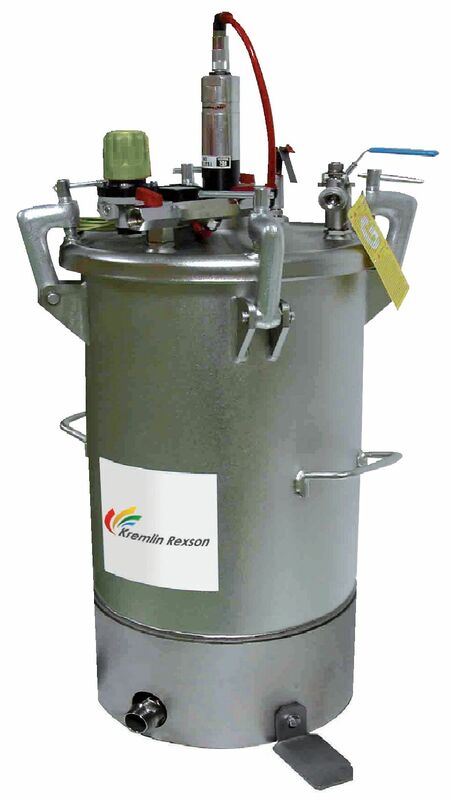 10 to 52 Liters Galanised pressure pots: available with agitator and removable stainless steel bucke. 10 to 52 Liters Stainless steel pressure pots: available with agitator and removable stainless steel bucke. 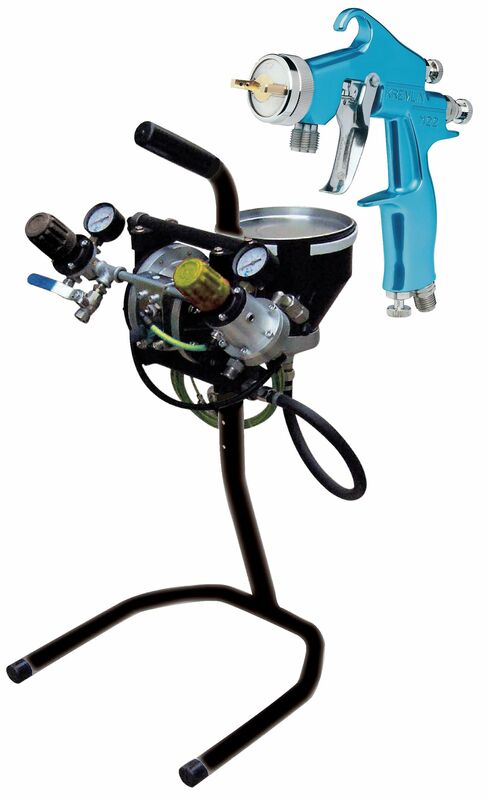 The PMP-150 Pratik diaphragm pump is a floor mounted version and is designed for applications requiring a 1: 1 pressure ratio and can be used on some adhesive applications and harsh or high viscosity coatings. Simple design: Easy operation and maintenance. Double material diaphragm out of PFTE and nitrile: Compatible with most solvant or water-based matérials. Quick motor inversion. Rugged design: Easy to carry.